Introducing the world's most-advanced 'distributed intelligence' fire alarm system. 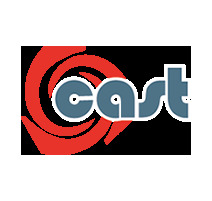 Comprising a stellar line-up of industry stalwarts supported by a future-defining roll call of exciting newcomers, CAST is the fire alarm system everyone's talking about. Powered and controlled by C-TEC's robust 'future-proofed' CAST communication protocol (C-TEC Addressable System Technology), the system breathes new life into our XFP and ZFP addressable fire panels. Sharing the limelight with the panels and protocol is a talented crew of CAST fire detectors, call points, sounders, VADs and interface modules, all designed and manufactured by C-TEC here in the UK. With 255 devices per loop, a short-circuit loop isolator in every device, multiple type codes, 40V loop voltage and two speedy programming options, it's no wonder the system is receiving five star reviews from fire specialists everywhere. Find out what the script is below. The availability of our new CAST protocol takes the performance of our popular 1-2 loop XFP panels to new heights. Maintaining all of the qualities of our existing XFPs but with the added advantage of CAST's 255 devices per loop and 40V 500mA loop drivers, never before has the installation of a high-quality and cost-effective addressable fire alarm system been so easy. Available as a low-cost single loop 16 zone panel in a plastic enclosure or a robust 1 or 2 loop 32 zone metal panel, the range offers an array of user and installer-friendly features and the ability to interconnect up to eight XFP main panels or eight XFP repeaters onto a two wire RS485 network. Optical, heat and multi-sensor fire detectors, all programmable to cover virtually every conceivable smoke and heat detector application. Intertek certified to the relevant parts of EN54, they include two ultra-bright LED indicator strips offering 360 degree visibility, an ingenious detector/base locking mechanism and an onboard short circuit loop isolator. With different sensitivity settings available for different times of the day, they are among the most powerful detection devices available. Our CAST surface mounting call point is no ordinary device. With an onboard short-circuit loop isolator, a smooth-action resettable element that mimics the feel of breaking glass, a photoluminescent operating window and a red LED 'alarm ring' that illuminates the call point's face upon activation, it is without doubt one of the most eagerly anticipated detection devices on the market. Utilising the latest advances in sounder and LED technology, C-TEC's EN54 certified addressable Sounder/VADs are compatible with C-TEC's entire range of ZFP and XFP CAST protocol fire panels. Three types are available - 'Base' – providing C-3-8 coverage and designed for use as part of a stacked sounder/VAD/detector base combination, 'Hi-Output' – a high-performance W-3.2-8.2 rated wall-mounting range and 'Compact' – a range of six variants offering C-3-8 or W-3-3.1 coverage. All models are available with or without an onboard sounder. Two types of CAST input output unit are available - standard and mains-switching - both incorporating the functions of a switch monitor, zone monitor, simple switch interface and output unit. Mountable on standard UK 25mm double gang back boxes, they include onboard short-circuit loop isolators, indicators for loop polling, fire/relay activated, input faults and isolator faults and relays with volt free changeover contacts for triggering rollershutter doors, gas shut-off valves, smoke vents and more. A CAST zone monitor is also available. An easy-to-use handheld device programmer that assigns CAST detectors, manual call points, sounders, VADs and interface units with a User ID in seconds. Includes an integrated base for direct connection to CAST detectors, sounders and VADs and two jack sockets for programming CAST ancillary devices. Battery powered with an auto shutdown feature to preserve battery life, it can also be used to test devices by showing, for example, when a 'smoked' CAST detector has gone into alarm.